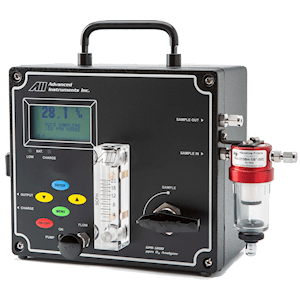 The portable oxygen analyzers from Analytical Industries are designed for applications where trace oxygen or gas purity must be regulated at defined measurement points using innovative high accuracy instruments. 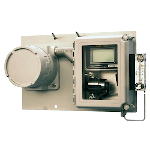 The Model GPR-3500, housed in a compact yet sturdy enclosure, with stainless steel wetted parts, needle valves, and integrated flow meters offers purity measurement for oxygen, inert gases, and carbon dioxide. 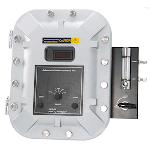 Customers who employ the GPR-1200 compact portable oxygen analyzer know the significance of the four-way valve that allows a gas sample to be captured in the sensor for quicker oxygen measurement times when moving from point to point. This feature also efficiently helps to protect trace oxygen sensors from untimely depletion as a result of exposure to ambient oxygen levels. 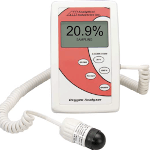 Longer sensor life-time allows a very cost-effective operation and low cost of ownership for this commercially leading portable oxygen analyzer range. 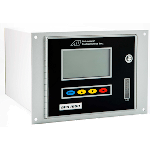 The portable oxygen analysers use Analytical Industries’ electrochemical sensors for long, reliable operation.